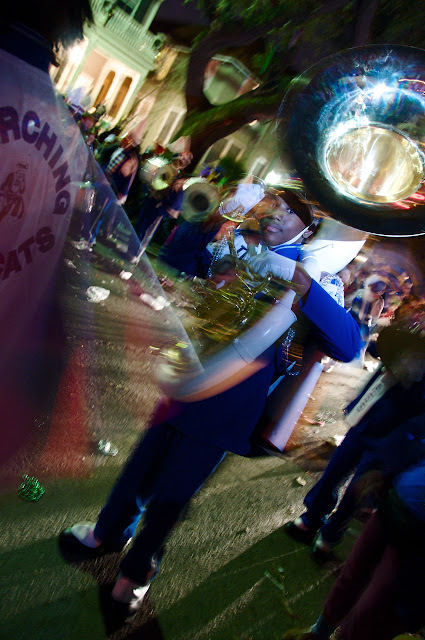 For me, Mardi Gras equals marching bands, and I am obsessed with the kids who light-up the parade route with their sounds and dance moves. I think I drove my friends crazy as I darted away from conversations just to catch a glimpse of these little darlings. They are so proud of their craft, just look at that face! I will post more photos later...just love this one so much thought he deserved his own post!